President Muhammadu Buhari and the presidential candidate of the All Progressives Congress (APC) has won in six more local government areas of Niger State in the just concluded presidential election. The News Agency of Nigeria (NAN) reported that the collation was being presided over by Prof. Anjela Freeman Mary of the Federal University, Lokoja, at the INEC office, Minna. Buhari defeated the Peoples Democratic Party (PDP) presidential candidate, Alhaji Atiku Abubakar, in six more local council areas of Niger State. Buhari had earlier won in Munya, Edati, Bosso, Gurara, Rafi and Suleja Local Government Areas. Prof. Jonathan Isa, collation officer, Tafa Local Government Area, said Atiku scored 12,778 votes, while Buhari scored 15,176 votes cast during the February 23, presidential and National Assembly elections. Prof. Kassim Isa, collation officer, Agura Local Government Area, said that Buhari scored 8,811 votes, while Atiku scored 5,588 votes. Prof. Yusuf Abubakar, collation officer, Magama Local Government Area, said that Buhari scored 22,529 votes, while Atiku scored 1,501 votes. Prof. Jonathan Kolo, collation officer, Chanchaga Local Government Area, said Buhari scored 62,707, while Atiku scored 14,220 votes. For Shiroro LGA, Buhari scored 29,213, while Atiku scored 10,212 as announced by Prof. Ishaya Gamba, the collation officer for the council. Former Vice-President Atiku Abubakar and presidential candidate of the Peoples Democratic Party (PDP), has taken an early lead in the Saturday’s presidential poll results in seven of 11 local government areas of Benue already announced. The News Agency of Nigeria (NAN) reported on Monday in Makurdi that the results, which are still being collated across the state, showed Atiku leading in Gwer West, Buruku, Logo, Agatu, Apa, Ado, and Obi LGAs. The results also showed President Muhammadu Buhari trailing in four local government areas. The LGAs so far won by Buhari are Tarka, Ushongo, Konshisha and Ohimini, while results from 12 other LGAs were yet to be released. Those being awaited are Gboko, Guma, Makurdi, Katsina, Vandeikya, Otukpo, Ogbadibo, Oju, Kwande, Gwer East, Ukum and Guma LGAs. The results showed that Atiku won in Logo with 28,227, in Gwer West with 14,660, Buruku with 23,236, Apa with 8,073, Agatu with 8,225, Obi with 7,803 and in Ado he polled 8,614 to take the lead. Meanwhile, the results of the senatorial results in the state are yet to be released. The presidential candidate of the Peoples Democratic Party (PDP), Alhaji Atiku Abubakar, has won in seven of the nine local governments in results so far collated and announced in Plateau State. The INEC Returning Officer in the state, Prof Richard Amande Kimbir, the Vice-Chancellor of Federal University of Agriculture, Makurdi, read the ground rules at the state collation centre located in the premises of the INEC office in the state headquarters before commencing the collation. The seven local governments areas where Atiku defeated Buhari are Mikang, Langtang South, Pankshin, Bokkos, Riyom, Jos South, and Kanke, while Buhari won in two local government of Qua’an Pan and Jos East Local Governments. Results for the remaining eight council areas were still being expected at the time of this report. 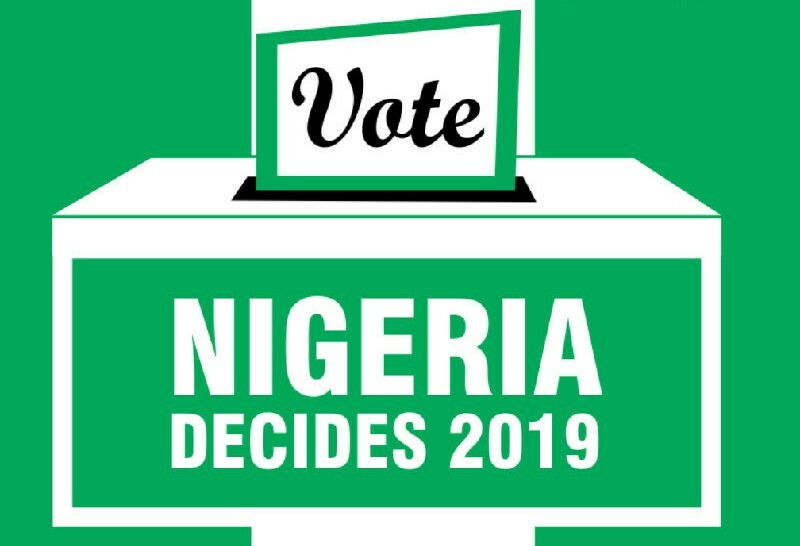 The Independent National Electoral Commission (INEC) has announced the results of the presidential election in 13 of the 23 local government areas in Kaduna State, with President Muhammadu Buhari of the All Progressives Congress (APC) winning in eight of the local councils. Atiku Abubakar, the candidate of the Peoples Democratic Party (PDP) won in five. Buhari has a total of 498,951 votes from the results so far released, while Atiku scored a total of 296,208 votes in the five council areas he won so far. Buhari won in Makarfi, where the former National Caretaker Chairman of the PDP and two-term former governor of Kaduna State, Senator Ahmed Makarfi, comes from. Other council areas won by Buhari include Kubau, Ikara, Sabon Gari, Soba, Kauru, Giwa and Kudan where the Kaduna State PDP governorship candidate, Hon. Isa Ashiru, comes from. Atiku won in Kaura, Jaba, Zangon Kataf, Kagarko and Kajuru council areas. INEC is expected to resume collation of results of the remaining 10 local governments areas by 9:00am Monday. The presidential candidate of the Peoples Democratic Party (PDP) Atiku Abubakar is leading the All Progressives Congress (APC) candidate in Saturday’s presidential election, President Muhammadu Buhari, in six of the eight local government results declared by the Independent National Electoral Commission (INEC) in Plateau State. The INEC Returning Officer, Prof Richard Amande Kimbir, the Vice-Chancellor, Federal University of Agriculture, Makurdi, made the announcement in Jos. Waiting for 9 more LGA….. 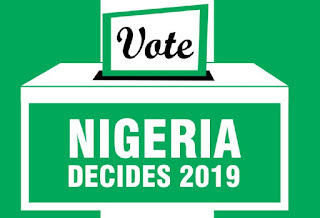 The Abia State office of the Independent National Electoral Commission (INEC) has collated presidential election results in 12 local governments so far with the presidential candidate of the Peoples Democratic Party (PDP) Atiku Abubakar winning in 10 local governments, while President Muhammadu Buhari won in two. Results from the five remaining local governments are still being expected. The announcement of the presidential election results in the Federal Capital Territory (FCT) has commenced with President Muhammadu Buhari of the All Progressives Congress (APC) taking an early lead in the results of three Area Councils so far declared. Prof. Muhammed Liman, Collation Officer, Presidential, FCT who is also the Vice Chancellor of Nasarawa State University made this known while declaring the results for the area councils. Liman said the results were from Abaji, Gwagwalada and Kwali Area Councils of the FCT. “APC won in Abaji with 12,847 while PDP got 9,369; in Gwagwalada, PDP won with 25,175 votes while APC got 24,363 votes. Liman said that overall, APC’s candidate, President Buhari won the three area councils with 52,719 while PDP’s Atiku Abubakar, came second with 50,999 votes. He said that the Peoples Coalition Party(PCP) came third with 458 votes while the Grassroots Development Party Of Nigeria (GDPN) came fourth with 169 votes. He said that the number of registered voters collated in the three Area Councils was 307, 233 while the number of accredited voters collated was 117,214. He said that the number of valid votes was 106,030 and the number of rejected votes 6,727. Liman said that the total number of votes cast was 112,757. Alhaji Atiku Abubakar, the Presidential candidate of the People’s Democratic Party (PDP), is leading in eight of 13 local government areas of Ebonyi in the Presidential results announced by INEC. The News Agency of Nigeria (NAN) reports that in the eight local governments of Afikpo-South, PDP scored 12, 181 votes and 20,070 in Afikpo – North while APC got 5, 356. Also in Ivo council area, PDP polled 12, 471 votes while APC secured 1, 945 and in Ohaozara LGA, the PDP scored 33, 651 while APC garnered 2, 058. Dr Leonard Egbe, the INEC Returning Officer (RO) for Ebonyi Local Government area who announced the result said that the All Progressives Congress (APC) secured a total of 5, 766 votes. According to him, the People’s Democratic Party (PDP) scored 17, 472 votes in the presidential election. He said that a total of 111, 917 voters were registered in the local government while 26, 667 voters were accredited. Egbe said that a total of 25, 534 voters participated in the presidential election in the local government area while 23, 850 were valid votes and 1, 684 rejected ballots. Meanwhile, Dr Okonkwo Eze, the INEC returning Officer for Ishielu LGA who announced the result said the APC scored a total of 7,308 votes. According to him, the PDP scored total of 23, 207 in the Presidential election. He said that the total number of voters registered were 111, 251 voters in the local government while 33,345 were accredited to vote. He also said that 31,151 were valid votes while rejected vote is 1, 490 and 32, 641 are total votes cast. Also Dr Obasi Nwogo, Returning Officer for Onicha LGA said APC secured a total of 2, 972 votes while PDP scored 28, 239 for the Presidential election. Nwogo said that total number of registered voters was 95, 631 with accredited voters of 33, 870. Dr Cyril Umeh, the INEC Returning Officer for Ohaukwu LG, announced the result of APC with total votes of 10, 396 while PDP scored 22, 281 votes for the presidential election. Umeh said total number of 155, 895 were registered in the Local government while 37, 898 were accredited.